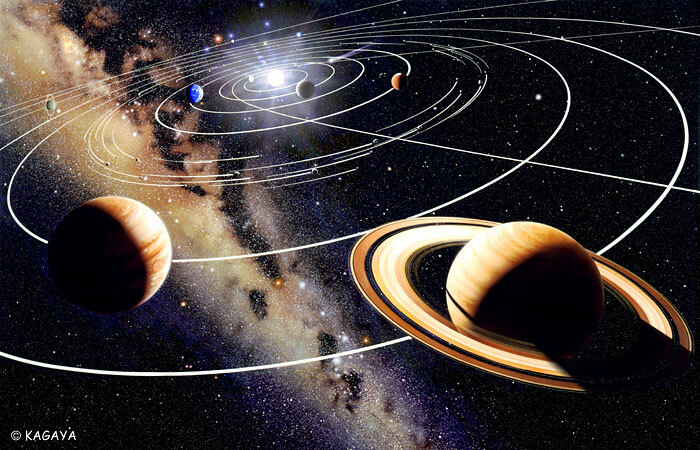 Pluto, Neptune, Uranus, Saturn, Jupiter, Mars, Earth, Venus and Mercury — the brother planets moving around the bright sun. Asteroids — small planets moving around the sun between Jupiter and Mars. Moons — objects moving around planets. All of them are the family of our Solar System.